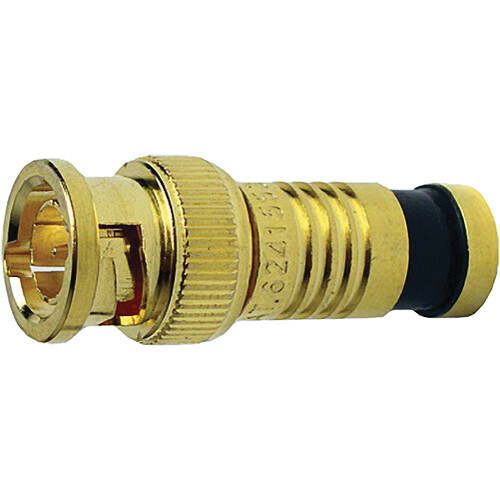 The BNC-Type Gold SealSmart Coaxial RG6 Quad Connector from Platinum Tools is the perfect solution for CATV, DSS, security, home theater, and residential structured wiring installations. Use on RG59, RG6, and RG6 quad-shield cables. Box Dimensions (LxWxH) 7.0 x 5.8 x 1.0"